Hello. 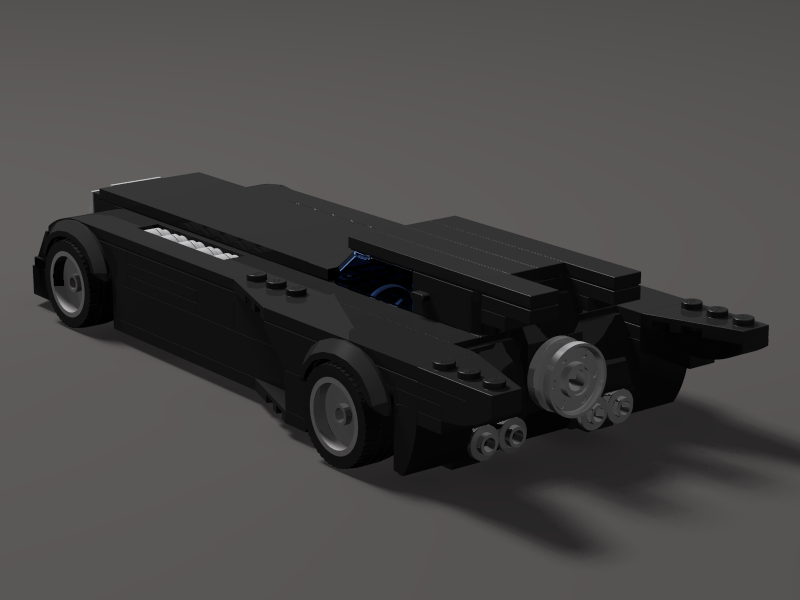 I am proud to present my model of the Batman: The Animated Series' batmobile. 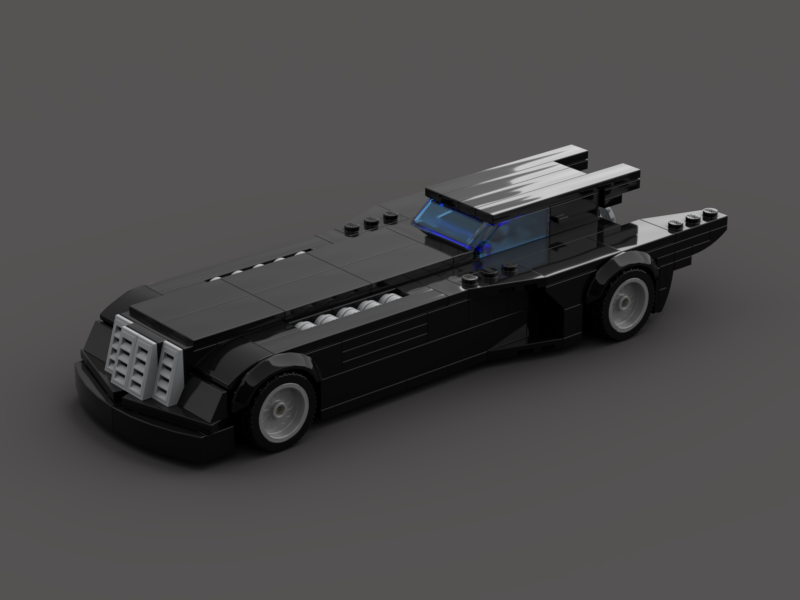 I tried to capture the simplistic sleekness and proportions of the vehicle while still sticking close to minifigure scale, so the scale kinda centers around the size of the windscreen. 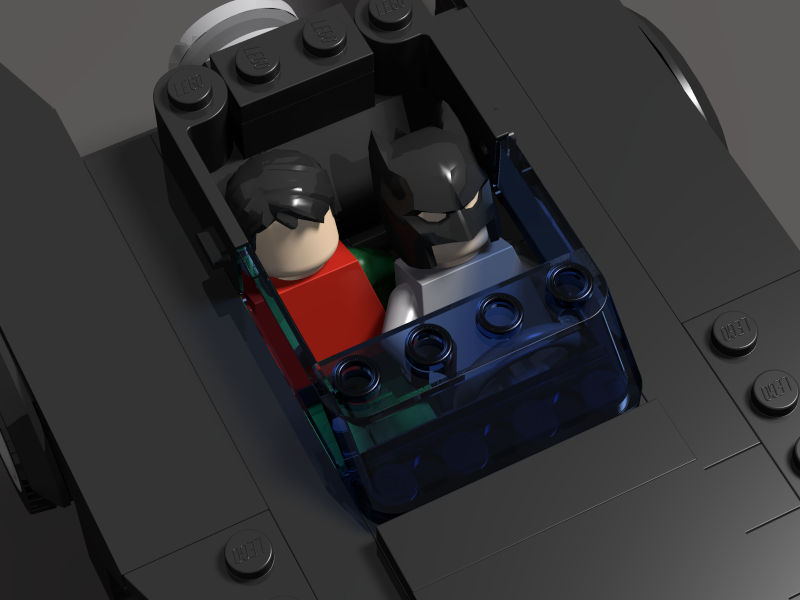 Despite only being 4 studs wide, the cockpit can seat 2 minifigures... I am proud of that. The model is 10 studs wide in the back and 8 in the front, standing at about the height of a minifigure. I hope you like my model, and happy building!